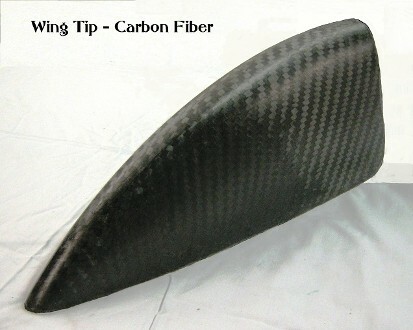 You can't beat Carbon Fiber when it comes to light weight and strength in your aircraft components. 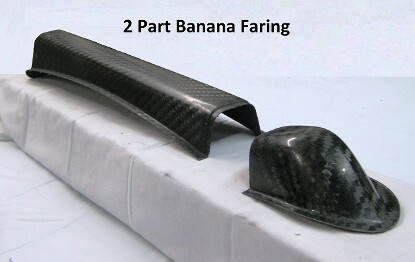 Pieces made from Carbon Fiber can weigh up to 50% less than their original counterparts. 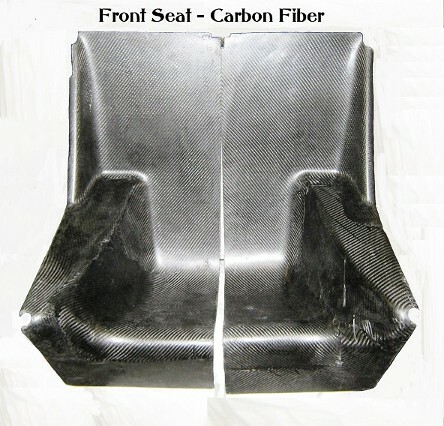 Built of Carbon Fiber, this seat is lightweight, strong and comfortable! Light weight and strong as well as beautiful. 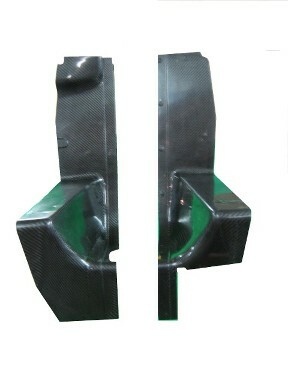 Carbon fiber wheel pants - You will not believe how light and strong these wheel pants are. The first time you pick one up it will blow your mind! They are really incredible. Great way to save money by assembling and finishing parts yourself! 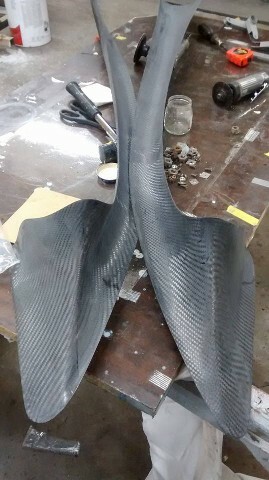 You get both halves of the wheel pants and a brake cover for both left and right sides, six pieces in all plus the fiber glass tape needed to assemble the wheel pants. Adhesives not included. Check out our video on our Research and Development page. 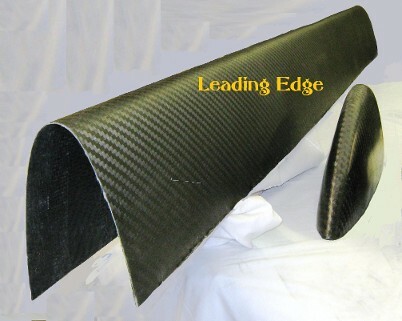 These Carbon Fiber/Kevlar Leading Edges withstood far more more punishment when tested. 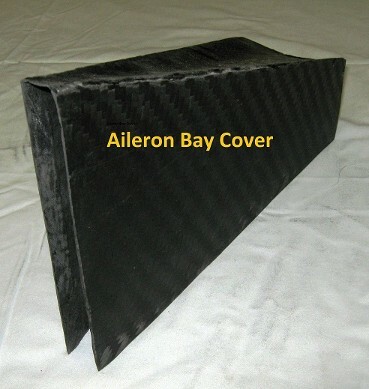 Compared to traditional Aluminum and wood leading edges, these proved superior by far. Price is for top and bottom wings. Check out the Eagle Project, we have them on that plane. Wing tips sold separately. These were a hit when on display at OshKosh this year. Mark Ciaglia showed them off on his black Eagle and these fairings were not the only Davis product displayed on that aircraft. 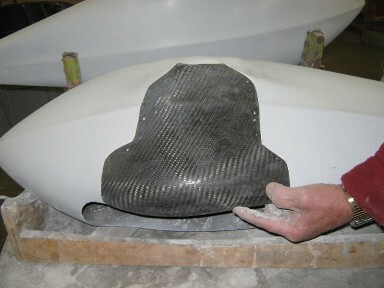 Molded of Carbon Fiber they add a touch of elegance to the overall picture. Take a look at the Banner picture at the top and you will see the wing fairings in place on the wing of Dr. Ciaglia's Eagle. 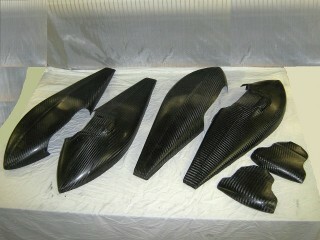 These will fit a two place Pitts as well as an Eagle. 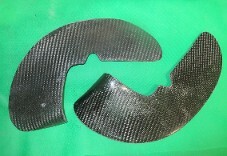 These carbon fiber brake covers fit the stock Pitts Wheel Pants. They are made of three layers and molded under vaccum. Price includes shipping anywhere in the lower 48 States.